"...a wonderful cd." 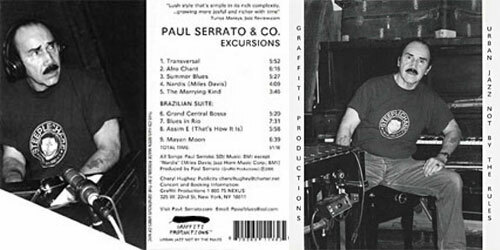 J. Scott Fugate, WBCX-fm, Gainseville, Ga.
"(Paul Serrato) is a fascinating talent, blending so many styles into his own. (Excursions) is Latin with a sophisticated touch.